Bird Island research station – South Georgia. 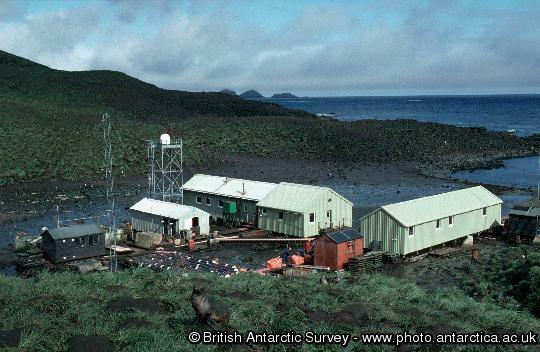 Four British Antarctic Survey staff spend the winter here studying the birds and seals. Bird Island lies off the north-west tip of South Georgia. This British Antarctic Survey station is notorious for its difficult cargo relief, and the weather windows required are few and far between. 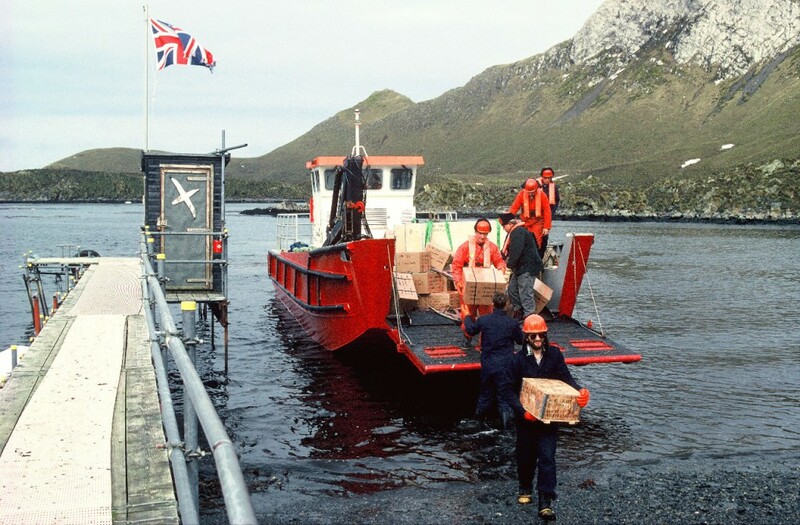 The ship anchors in Bird Sound and if the weather and sea state are suitable, the cargo tender is loaded with supplies for the station. You will help with unloading cargo on the new jetty using block and tackle and trolleys.  There is a flurry of boxes and bubblewrap, crates and cardboard, fuel drums rolling, fresh fruit and vegetables, temperamental trolleys and bemused seals. If all goes well with the weather (which is unusual!) then the relief can be done without a break. However, the weather usually plays its part and the ship often has to heave up the anchor and proceed to shelter at Elsehul, a bay just the other side of Bird Island. From time to time a large iceberg may want to share the same anchorage as the ship, so it will mean another swift move. All this can really stretch out the time it take to relieve the station as around 75 tonnes of cargo has to be located, moved from the ship to the cargo tender, which then makes its way into the small bay where the station is sited. It then had to be unloaded onto the end of a newly-widened jetty and man-hauled down to its allocated spot. Plus all this has to be done whilst keeping an eye on the fur seals! They can be quite ferocious in guarding their territories, and you must be very careful around them. It is sometimes necessary to tickle them under the chin with a broom handle, otherwise known as a bodger, to move them out of the way, but they’re not that bad really, and you may literally have to step over some that have taken up residence on the steel walkway between the station and the jetty. The station office looks out over a beach covered in fur seals and penguins on one side, and the dramatic rocky peak of La Roche on the other, still with a few snow patches left over from winter. Life on Bird Island is simple. The power for the buildings runs off two generators, one in use and one on standby, which run for about 15 hours each day, being turned on and off when the first person gets up and the last goes to bed. Once the generator is on, warmed up and the load switched on, the electrics, such as boiler for heating, lights, computers, fire alarm system, fax, telephone are powered up. The cooker is a kerosene Aga which runs 24 hours a day and provides some heat overnight for part of the main building. There is no running water, so this is collected from rain or snow melt on the roof of the buildings. This fills up three large tanks and is pumped through a filtration and purification system into two smaller tanks in the loft, from where it provides a daily source of water. Water can be pumped between the tanks at ground level (when the pipes are not frozen) or syphoned if they are. If there is no rain or snow melt, a small pump and long hose is used to pump water from a small stream nearby. The hose and pump need to be warmed up so that they don’t freeze during the pumping process. Once water is running freely this is normally sufficient. If the equipment gets too cold during the preparation, then water will freeze in the hose and it has to be warmed up overnight, next to the Aga, to repeat the process the following day. Needless to say there is usually a thaw just after this process!